After lying dormant for 30 years, the dust has been blown off this Pyrmont pub to make way for a 21st century Sydney watering hole. 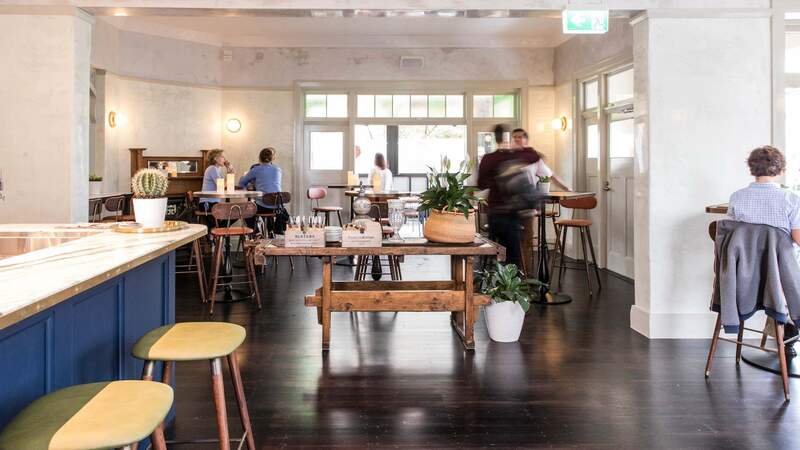 For the past 30 years, the Terminus Hotel, a 177-year-old pub in Pyrmont, has been an enigma to passersby, its facade overgrown with vines, its windows boarded up and its doors bolted. Yet, back in the 1840s, it was one of the city’s most boisterous drinking spots. Situated at the very end of the tram line (hence the name), the pub was a favourite stop for workers keen for a beer — or several — after a hard day’s yakka. In 2016, business partners David Mathlin and Binu Katari decided to bring the old girl back to life. And, as of this week, you can swing by and check out the rather magnificent results. Downstairs, drop an elbow on the marble-topped Tram Bar and order a craft beer, such as a signature Terminus Lager or a French sparkling wine. Alternatively, head into the cosy courtyard. Either way, you’ll be able to watch the open glass-walled kitchen in full flight. Upstairs, there’s a classy cocktail bar named after Vera Dempsey, a tough, buxom woman who ran the Terminus in the 1930s. The light-filled space spills out onto a roomy, sun-dappled terrace, with a retractable rooftop, for when those all-too-familiar Sydney downpours suddenly hit. “Locals will immediately notice the distinctive spaces, each with their own occasion, personality and charm,” says Mathlin. And, should you just so happen to find yourself partying like it’s the 1840s, you can stay the night in one of the Terminus’s cute boutique budget rooms, bookable via Airbnb. The Terminus opened this week, and we’ve got a first look. In partnership with Zantac we’re uncovering the best new restaurants and bars around Australia as they open. We’ve got the lowdown on the team, the design and — most importantly — the menu so that you can head in educated, excited and ready to take it all in — with a few dishes recommended by the chef, no less. The first task Mathlin and Katari had on their hands was to find the right general manager. So they headhunted Belinda Clarke, who started out in hospitality in the Hunter Valley at the tender age of 14 when she landed a job on the bottling line at a local winery. Since then, she’s worked with Gordon Ramsay, managed Jamie’s Italian and taken a pasta making lesson with Genaro Contaldo. The aim behind the design of the Terminus was to retain the building’s 177 years of colourful, outlandish history, while bringing it into the 21st century. To that end, the owners enlisted heritage architect Garry Stanley and in-demand design company Luchetti Krelle, whose portfolio includes Longrain Tokyo, Banksii, Sake and Tequila Mockingbird. In keeping with that, the designers avoided an overarching concept, instead allowing the history of each space to guide them. 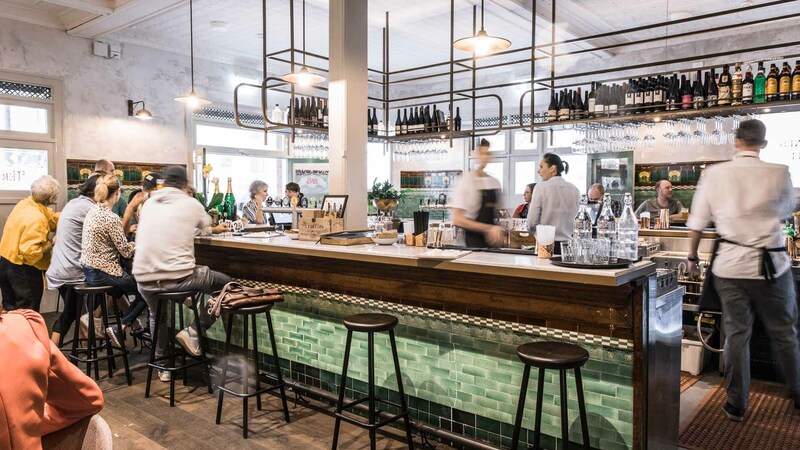 Downstairs has kept its stunning green tiles and majestic central bar, but gained some atmospheric brass light fittings, ultra-comfy stools and mustard yellow banquettes, fitted with charming, tram-esque hand rails. 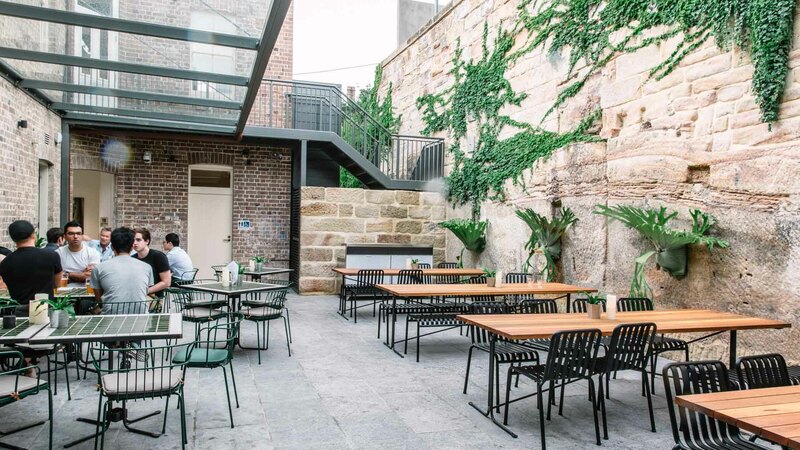 The space flows outdoors, into the courtyard, where the focus is on the carefully restored sandstone wall, draped with the pub’s only remaining vines. Vera’s is lighter and more elegant in feel, helped along by Federation-inspired elements, such as decorative timber, stained glass and an antique butcher’s table. A similar approach informs the rooms. “As in the pub, we worked hard to maintain what was there,” says Krelle. “Each room had slightly different coloured walls — from light blushes to greens and blues — so we picked up on them with a stucco finish.” Priced at budget rates, the rooms are neat and cosy, yet simple — think white linen, burnt orange throws and polished timber floors. Some look onto Harris Street and, others over the courtyard. There are three ways to eat at the Terminus. 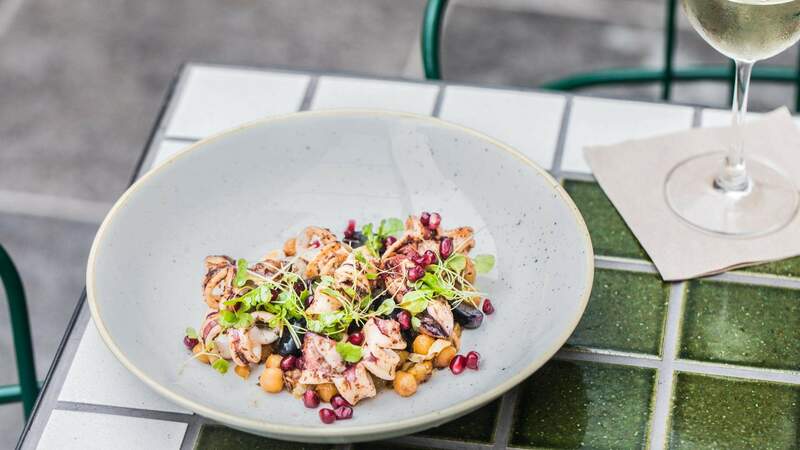 If you’re peckish, go for a bar snack, such as a rolled cigar ‘borek’ (pastry filled with mushroom and three cheeses) or grilled sumac-cured calamari with chickpeas and sorrel. If you’re starving — but don’t want to share — choose a poshed-up pub classic, like fried flathead with chips and aioli or the mighty Terminus burger. And, if you’re ready to settle in with some friends, order share plates. The slow-roasted, oyster-cut lamb shoulder with smoky eggplant caviar and pickles is hard to go past. The menu reflects head chef Ozcan’s Turkish origins, as well as his deep knowledge of Mediterranean and Australian fare. 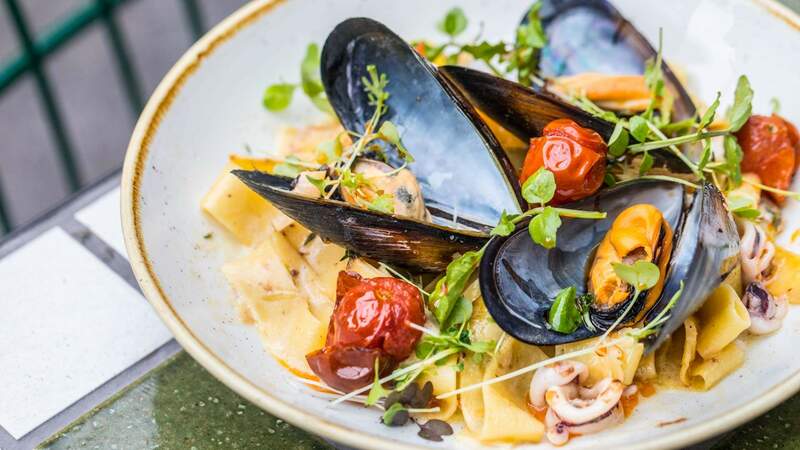 “Nearly every dish is a signature, because of the mix of Australian influences and Mediterranean flavours and spices,” he says. On weekends, the courtyard will host charcoal grill cook-ups. 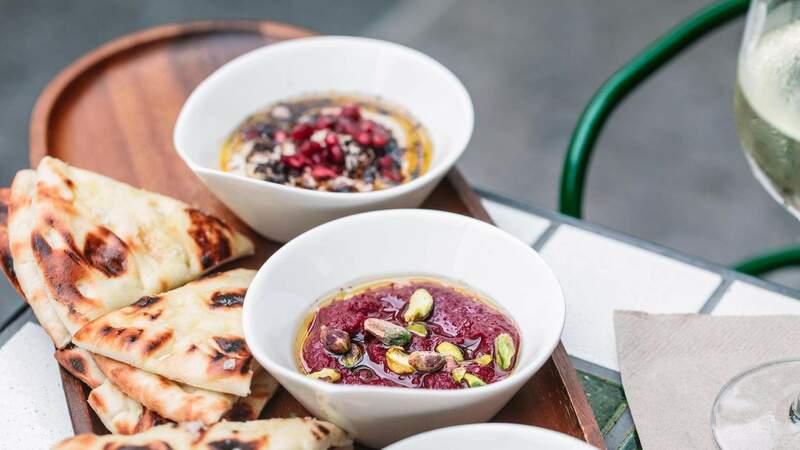 Ozcan’s planning on experimenting with a variety of meats and a range of international cuisines, including Lebanese, Greek, Tunisian and Japanese. Also keep an eye out for special events, such as one-off dinners featuring guest chefs. To match Ozcan’s creations, there’s a smart accessibly priced, international wine list, curated by Clarke. At one end is an easy-drinking French rosé and a big Barossan grenache, and, at the other, a just-released Mumm Grand Cordon. In between lie a Mornington Peninsula pinot gris made by Ocean’s Eight — which Clarke describes as “sensational” — as well as a left-of-field rosé from Sonoma County in California and an organic chardonnay by Frisky Farmer, South Australia. Meanwhile, the cocktail list is made up of creative takes on classics. The Terminus Sour, for example, is Chivas 12 Whisky and Pernod Absinthe, shaken with fresh lemon juice and house-made thyme syrup, then strained over ice. Then there’s the Blood Orange Margarita: Altos Plata tequila, Solerno Blood orange liqueur and Campari shaken with fresh lime juice and a dash of agave syrup, then strained. You’re welcome to drink your favourite cocktail wherever you like, but, if you’re looking for the best spot to linger and chat, climb up the staircase to Vera’s. So what should you order? Ozcan has championed this menu, so we thought he’d be the best person to ask. 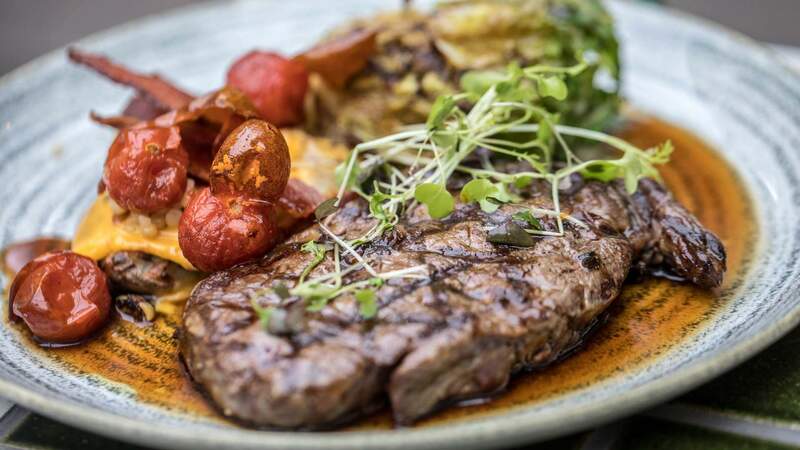 Here are five picks from the Terminus menu. 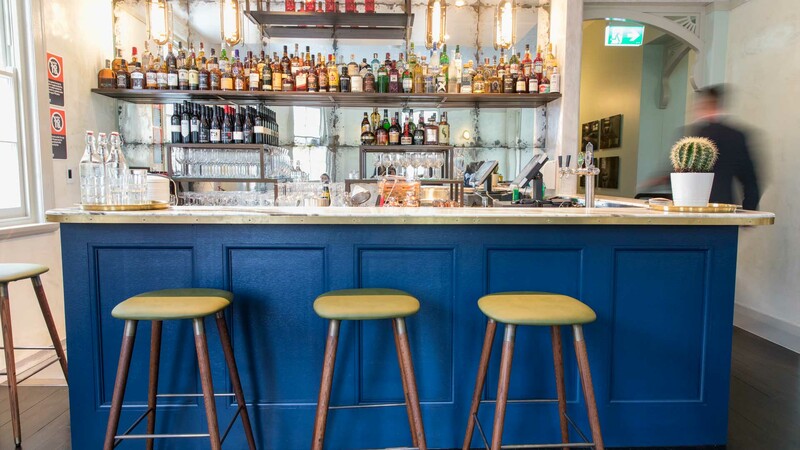 The Terminus Hotel is now open at 61 Harris Street, Pyrmont. For more info, visit terminuspyrmont.com. Keen to check out more newbies? 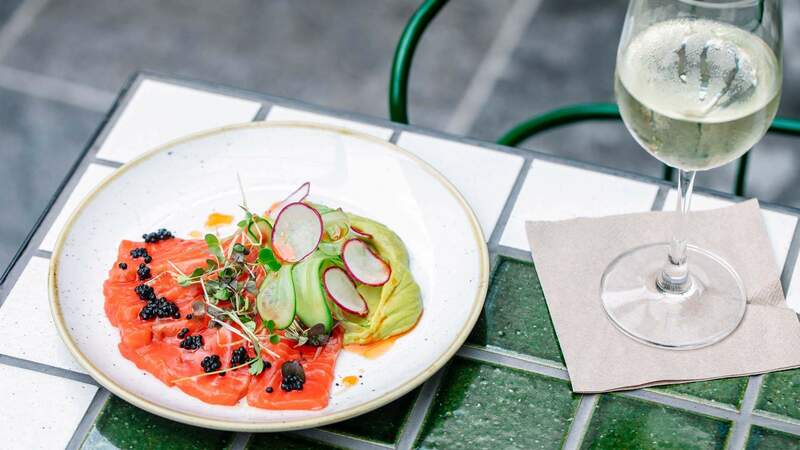 Have a sift through the newest crop of Sydney openings. To find out more about Zantac, visit the website. Zantac relieves heartburn. Always read the label. Use only as directed. If symptoms persist consult your health professional. Words: Jasmine Crittenden. Images: Kitti Smallbone.